Angelo Randy Cilluffo of Otsego, Michigan, died Thursday, October 30, 2008. Randy was born October 29, 1961 in California. For many years he was employed with Parker-Hannifin in Richland. Surviving are two brothers and a sister, Steven (Christy) Filkins of Gobles, Scott Filkins of Kalamazoo and Ellen (Ed) Spencer of Mount Sterling, KY; many nieces and nephews. He was preceded in death by his mother, Phyllis (Forbes) Reinhart, and his brother, Richard Anderson. Cremation has taken place. 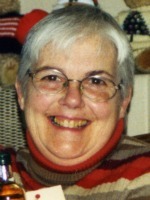 Mary L. Bowlby of Otsego, MI, passed away Monday, October 27, 2008 in Kalamazoo. Mrs. Bowlby was born October 18, 1936 in Kalamazoo to Don and Ada (Fletcher) Sexton and had been a lifelong resident of the area. For 35 years she was an Avon Area Representative. Mary loved dancing, playing cards, bowling and visiting their cabin at Irons, MI. In her early years she enjoyed playing softball. Most of all she loved spending time with her grandchildren. On May 29, 1970 in Kalamazoo she married Floyd Bowlby, who survives. Also surviving are her children, Norman McNees of Augusta, Dale McNees of Bloomington, IN, Marshall McNees, Jr. of Allegan, Penny (Chuck) Marshall of Phoenix, AZ and Sandy Curtis of Kalamazoo; 12 grandchildren; 8 great-grandchildren; a brother, Ron Sexton of Alamo; a sister, Norma (Charles) Chilcutt of Kalamazoo; many nieces and nephews. She was preceded in death by her parents and by a sister, Donna Wedig. Friends may meet the family from 2 to 4 and 6 to 8 P.M. Wednesday at the Winkel Funeral Home, Otsego, where services will be held at 11:00 A.M. Thursday. Burial will follow at Mount Ever-Rest Memorial Park -- North, Kalamazoo. Contributions in memory of Mary may be made to the Kidney Foundation. 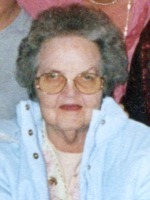 Dorothy E. Brown of Grand Rapids, MI, formerly of Otsego and Kalamazoo, died Thursday, October 23, 2008 in Grand Rapids. Mrs. Brown was born August 20, 1910 in Calumet, MI to Elbert and Georgia (Draper) Boyd. The Brown family resided in Otsego beginning in 1940. Mrs. Brown moved to Kalamazoo in 1970. She resided in Grand Rapids since 2003. Surviving are a son, James R. (Susan) Brown of Grand Rapids; two grandchildren, Laura J. Mutz of Bloomfield Township and Alan R. Brown of Kentwood; two great-grandchildren, Lindsey Mutz and Ben Mutz; several nieces and nephews. Dorothy was preceded in death by her husband, Dr. Lewis F. Brown in 1969; and by her daughter, Lois A. Brown in 2005. Friends may meet the family from 12 Noon to 1:00 P.M. Monday at the Winkel Funeral Home, Otsego, where services will be held at 1:00 P.M., Rev. Joe Shaler officiating. Burial will follow at Mountain Home Cemetery, Otsego. Contributions in memory of Dorothy may be made to the United Methodist Church of Otsego Memorial Fund, 223 E. Allegan St., Otsego, MI49078 or the charity of one’s choice. 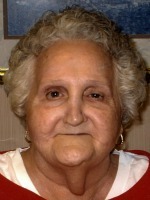 Alice Leone Johnson of Allegan, Michigan, passed away on Thursday afternoon October 23, 2008 with her family by her side. She was born on January 21, 1941 to Homer and Margaret ‘Marnie’ (Knox) Carns. Alice graduated from Allegan High School class of 1959. On October 17, 1970, in Allegan, MI, she married Jurien ‘Pete’ Johnson. Alice lived in Allegan all her life. She was a stay-at-home mother who was always home when her children came home from school. Alice was an extremely talented artist who sold her artwork for over 19 years to East of the Sun in Saugatuck. She was an excellent seamstress and could do just about anything she put her heart in to. She loved making her beautiful works for her children and especially her grandchildren. And she would stay up late at night making those gifts for her grandchildren. She enjoyed her flower garden and would look forward to the weekly Sunday dinners with her husband, children and grandchildren. She was a kind, warm, loving wife, mother, grandmother and friend, simply the best. She will be deeply missed by her husband, children and grandchildren and there will be a great void. Alice and her husband Pete attended First Baptist Church in Allegan with her daughter Sarah and her family. Surviving are her husband, Jurien ‘Pete’ Johnson and her five children, Jeff (Cindy) Carns of Traverse City, Sarah (Brian) Vlietstra of Allegan, Eric (Kristy) Johnson of Dorr, Jacob Johnson of Allegan and Amanda (Dave) Carter of Allegan; 10 grandchildren, Lukas, Peyton, Emily, Samantha, Isabella, Dillyn, Marissa, Zeke, Petey and EllaMae. In her retirement years she enjoyed and loved looking after her grandchildren daily. She was preceded in death by her parents, Homer and Marnie Carns and her brother, Jim Carns. According to her wishes cremation has taken place. A memorial service will be held on October 30, 2008 at 10:30 A.M. at First Baptist Church of Allegan with Pastor Greg Carlson officiating. A luncheon will immediately follow at the church. Alice was a loving wife and mother who constantly provided comfort, joy and a bond that will never fade. The family suggest memorials be made to Spectrum Hospital for Amyloidosis Research. Arrangements were by the Winkel Funeral Home, Otsego. Elouise Hartman of Kalamazoo died Wednesday, October 15, 2008 in Kalamazoo. Mrs. Hartman was born May 14, 1927 in Hellier, Kentucky to Pattan and Flora (Mullins) Bartley. On August 12, 1953 in Detroit she married Arthur Tyler Hartman, Jr. who preceded her in death. Also preceding her in death were a son, Arthur Hartman; 3 brothers, Hubbard, James Donald and Willie Ray Bartley; and an infant brother, Garfo. Surviving are nine children, Donna (Pat) Grimes of Florida, Victoria (Benjamin) Burton of Detroit, Mary Hartman of San Jose, CA, Geraldine Hartman of Germany, Nancy (Donald) Kinsey of Morley, Bryant Hartman of Cadillac, Louis (Hawatha) Hartman of Detroit, Louise (Albert) Castaneda of Kalamazoo and Janet Hartman of Florida; 25 grandchildren; 16 great-grandchildren; a brother and 3 sisters, Billy Ray (Wanda) Bartley of Pikeville, KY, Pattie Raey (Tony) Jablonski of Pennsylvania, Evadean Osterman of Florida and Lois Jean Bartley of Kentucky; many nieces and nephews. The family will receive friends from 1 to 4 P.M.Sunday, October 19, 2008, at the Winkel Funeral Home, Otsego. Graveside services at Aetna Township Cemetery, Morley, Michigan will be held at 11:00 A.M.Monday, October 20, 2008. 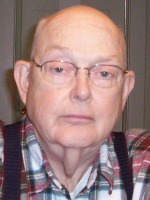 Carl H. VanNess of Otsego, Michigan died Wednesday, October 8, 2008, in Allegan. Carl was born April 22, 1924 in TrowbridgeTownship to Lewis and Mary VanNess and had been a lifelong resident of the area. Carl served in the U.S. Army during WWII. For over 20 years he enjoyed plowing, road work and welding for the Allegan County Road Commission, and was also a farmer. His leisure time activities included hunting, fishing, gardening and small engine repair. In April of 1989 he married Martha Friend, who survives. Also surviving are his children, Melvin VanNess of Allegan, Mary (Charles) Austin of Plainwell, Vicki (LeRoy) Holdread of Indiana and Andrew (Kris) Friend of Saginaw; 11 grandchildren and 11 great-grandchildren; several nieces and nephews. He was preceded in death by his first wife, Jean; and by four sisters and a brother. Cremation has taken place and there will be no services. Contributions in memory of Carl may be made to Wings of Hope Hospice and Palliative Care. David R. Brady of Plainwell died Tuesday, October 7, 2008, in Kalamazoo. David was born July 9, 1941 in Kalamazoo. Cremation has taken place. A private service will be held at a later date. John F. Campbell of Plainwell, MI passed away Saturday, October 4, 2008 at his home. John was born April 23, 1940 in PrairievilleTownship, the son of Russell and Marian (Brown) Campbell. He was a welder with Prab Conveyer Co. in Kalamazoo for about 30 years, retiring in 2001. John was a Master Mason and was a lifetime member of the MasonicTemple. He enjoyed fishing, hunting and spending time with his family especially his grandchildren. On December 15, 1962, in Sparta, MI he married the former Linda Kutzli, who survives. Also surviving are their children, Mike (Liz) Campbell, Eric (Lori) Campbell and Kelli (Toby) Marshall; their grandchildren, Andrew Campbell, Jessica Campbell, Bailey Campbell, Erin Campbell, Kayla Marshall and Lia Marshall; his brother, Duane Campbell; and his sisters-in-law, Marilyn Campbell and Priya Campbell. He was preceded in death by his parents, Marian Campbell-Cole and Russell Campbell and 3 brothers, Clifford, Richard and Russell. Friends may meet with the family Tuesday, October 7, 2008 from 6:00 to 8:00 PM at Winkel Funeral Home, where services will by held Wednesday, October 8, 2008 at 11:00 AM, Pastor David Reed officiating. Cremation will follow the service. Those desiring may make memorial contributions to the Leukemia Foundation or to Wings of Hope Hospice and Palliative Care. William G. Holmes of Gobles, MI passed away Friday, October 3, 2008 in Plainwell. Mr. Holmes was born February 8, 1924 in Otsego, the son of Clifton and Laura (Root) Holmes. Bill served in the U.S. Army during WW II He worked for Consumers Energy for 27 years retiring in 1979. Bill enjoyed fishing and helping anyone who could use it. On October 22, 1949, in Otsego, he married Betty Deaton, who survives. Also surviving are 2 children, James (Iva) Holmes of Otsego and Linda Holmes of Plainwell, 4 grandchildren, Alesia, Tara, Timothy and William; 9 great grandchildren; his siblings, Laura Lewis of Gun Lake, Jack Holmes of Otsego, Tom Holmes of Texas and Ruth Holmes of Fennville. Friends may meet with his family from 2-4 P.M .Monday at the Winkel Funeral Home, where services will be held Tuesday at 11:00 A.M. with Pastor Joe Shaler officiating. Burial will follow at Mountain Home Cemetery, Otsego. Graveside Military honors by Otsego V.F.W. Post 3030. Memorial donations may be made to the American Cancer Society.